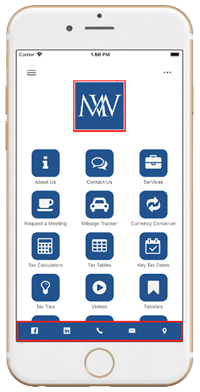 I have been using Makesworth Accountants for quite sometime now and the experience has been wonderful. They take care of all my accounts related activities in a timely manner and above all I don’t have to worry about any of these while running my business. Good job guys… keep it up..
Makesworth Accountants” have been assisting me since 2014. Simply, I am happy with their services. Always helped me and our company! Definitely recommend to new businesses. Makesworth is Very Professional and Customer oriented with a very friendly and hard-working support team. I have been with them for quite a few years now and they are always there when I needed. Sanjay and team are always reachable at any time. I would definitely refer to friends and families. Since January we had started working together and yes team… we’re very satisfied and more then that to have a opportunity for cooperation between us. Thanks Mr. Sanjay and Mr. Rakesh for providing the best accountant services. I have been working with Makesworth for an years now and i wouldn’t think of going anywhere else. “Services have been excellent in terms of advice and quick responses, Used them for maintenance of Accounts, PAYE and VAT consultations. Highly recommend ! Sanjay and Team, are very professional, accurate and provide honest advice. Team are contactable anytime. You always talk to “human” not to machine. Strongly recommend!! We have had excellent service and support in the last 2 years for MW Accounts. Sanjay has a very good understanding our specific business contact and advice’s accordingly. All the best.